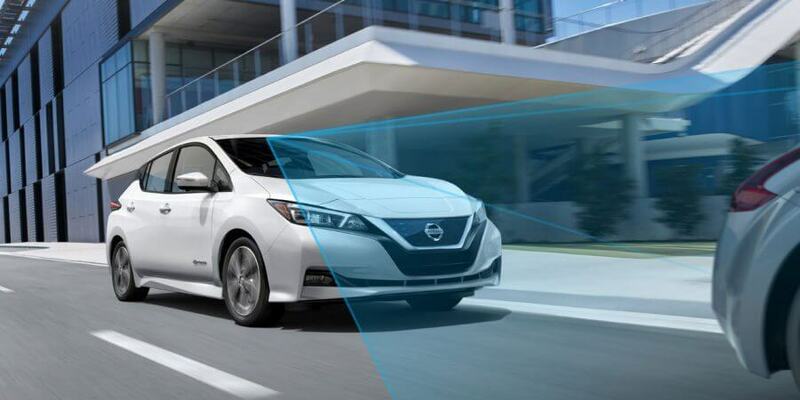 If you’ve done any research into getting a new Nissan, you’ve probably heard about Nissan Intelligent Mobility, Nissan’s newest driving system built to protect drivers and provide more comfort on the road. We are going to breakdown what exactly Nissan Intelligent Mobility is and where it is going. So many amazing features already exist in Nissans due to Intelligent Mobility. Features like front collision warnings that see further into traffic to warn you to slow down or the blind spot warning that will alert you to a vehicle in your blind spot as well as nudge you back into your lane should you try to move. Other great features include intelligent lane intervention that keeps you between the lane lines in case you start to drift. Back-up intervention will brake for you to stop you from hitting obstacles behind you. This is part of the around view monitor which has a 360 degree view of your car to keep you safe. The intelligent distance control monitors the flow of traffic around you to help you keep a safe distance from the vehicles in front of you. The Nissan LEAF is the symbol for Nissan Intelligent Mobility, an electric vehicle with top-of-the-line safety and driving features. The future looks bright for the LEAF and Intelligent Mobility. Nissan is working on completely autonomous driving as well and even creating a system to allow you to drive using only your brain. Interested in learning more about Nissan Intelligent Mobility? Visit the website. Looking to try it out for yourself, schedule a test drive at MetroNissanMontclair.com. Metro Nissan of Montclair, doing it right!